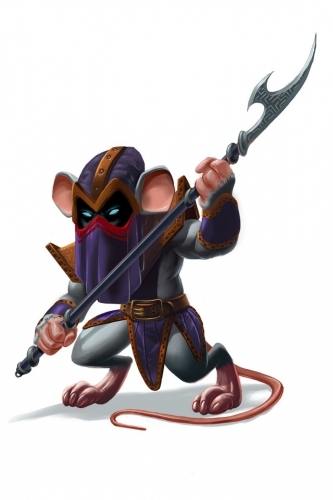 The Masked Pikeman Mouse can be found in the Labyrinth and Zokor. It is known to drop Plates of Fealty in Zokor. The Masked Pikeman Mouse prefers Glowing Gruyere in both the Labyrinth and Zokor, but can be attracted with Standard Cheeses. Forgotten weapons are very effective against the Masked Pikeman Mouse. Arcane weapons are of normal effectiveness. The Masked Pikeman Mouse can be found in Plain, Superior, and Epic Fealty Hallways. The Masked Pikeman Mouse can be found in the Outer Fealty Shrine, the Inner Fealty Temple, and the Templar's Sanctum. The Masked Pikeman Mouse drops the Zokor Fealty Egg during the annual Spring Egg Hunt. 9 September 2015: The Masked Pikeman Mouse was introduced as part of the Hollow Heights release. This page was last edited on 24 November 2016, at 09:47.